India needs to grow at 10% to become $10 trillion economy and eliminate poverty by 2032, Niti Aayog Chief Executive Officer Amitabh Kant said here on Thursday. The country's growth rate was 7.6% in 2015-16 and its economy worth $1.7 trillion. In a presentation made during Civil Services Day function attended by Prime Minister and large number of civil servants, he said a growth rate of 10% would also help in creation of 175 millions jobs by 2032. "Growing at 10% will transform India. India will be a $10 trillion economy with no poverty in 2032," his presentation reads. The presentation was made on the status of implementation of reports of 'Group of Secretaries' formed by the Modi government. A total of eight Group of Secretaries were formed in December last year on focus areas. "These eight groups had officers from different ministries. Further, there were 16 groups of joint secretaries who simultaneously worked on their focus areas. We cut across silos so that we can act on the eight themes and act as agent of change," said Kant. 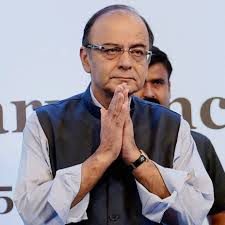 He said that current 7% growth rate would make India only a $6 trillion economy by 2032 and would still leave 5-6% of population Below Poverty Line (BPL). The groups has decided on sub-themes, Some of its recommendation have been acted on whereas a road map has been suggested for the rest to achieve intended target. Under the sub-theme "accelerated growth", he said there will be Rs 2 lakh crore worth investment in roads and railways in FY 2017. It intends to complete 10,000 km of road project during the same period. LPG connections to below poverty line women through Pradhan Mantri Ujjwala Yojana and promotion of medical tourism are other action points suggested by the group under "health and pharma" category.